Home >> Blog >> What Is a Radon Resistant Home? If your home was developed within the last ten to twenty years, it’s likely that the construction crew adhered to radon resistant standards. This includes the use of radon-resistant materials and procedures to mitigate the buildup of the deadly gas inside your radon resistant home. In the commercial and professional world, this is referred to as Radon Resistant New Construction or RRNC, for short. Without any further context, you might hear this term and fall into the trap of thinking that newer homes cannot be affected by Radon. There are several reasons this is wrong, the most important of which is that RRNC doesn’t actually mean what you think it does. The name implies that construction practices ensure a home resists radon. 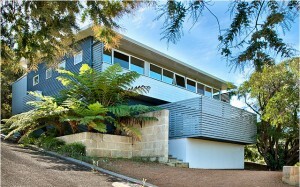 Naturally, you’d expect a newer home to be less of a risk. You might even ignore testing altogether. The sad truth is that every single home or building is susceptible to the deadly gas. Even those built specifically to RRNC standards, within the most recent decade. What Does RRNC Actually Mean? While the standards and practices are designed to mitigate radon and prevent it from entering a home, it’s more of a preparation process than it is actually securing a property. In most cases, RRNC simply involves the pre-installation of radon system pipes. The foundation is laid out, and if and when there is an issue discovered, the only step required of you is to install a mitigation fan. This eliminates the need to later uproot the foundation and home to install a sub-slab mitigation pipe system. As it’s pre-installed, a crew can later come in, install the necessary fan and begin the exhaust process to mitigate the radon that has built up inside a home. Technically, since there is no working fan, the home is only “radon-ready” not activated. Furthermore, as homes deteriorate over time, cracks, seams, and settling can cause natural seals to warp or wear. Radon seeps into a home generally through these cracks or gaps, rising most commonly from the soil underneath our feet and homes. So, even a home with RRNC measures can see radon build up inside, at lower levels, after a significant amount of time. When radon builds up inside a home, there are no telltale signs. In fact, the only way to reveal its presence is to directly test for it. The gas is odorless, colorless, and tasteless. Damage is incurred over an extended period of time, and there are little to no symptoms of radon poisoning. What this means, is that if you never have your home tested, you could be living with the deadly gas for years, none the wiser. Are Radon-Resistant Homes Still at Risk? 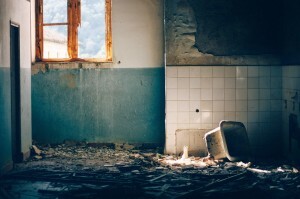 The short answer is yes, all homes and properties are at risk for radon buildup. Even homes that have an active radon mitigation system and constantly running fan, can still be plagued by elevated radon levels within. This can be caused by poor ventilation, a malfunctioning system, or even the increased presence of the gas. Certain types of rock – such as karst – are more likely to give off harmful radon. Even granite can release radon, which means yes, your granite countertops can be a source, though the levels are generally so low as to not be dangerous. Since these types of rock are abundant pretty much everywhere, it means that no single location or region is safe. It also means that when these types of rocks or conditions are more common, the risks of higher radon levels are also increased. One common misconception passed around, if a home nearby is tested and found safe, yours will be too. This is dead wrong, as even your closest neighbor can have varying levels. It depends more on the condition of your property, the makeup of soil and resources beneath your feet, and even the size or layout of your home. In short, it means that you should always test your home regardless of age, location, and or radon levels in your area. It is entirely possible to live in a subdivision or on a street, where your home is the only one plagued by elevated radon levels; just as the opposite can be true. And since testing is the only way to discover its presence, that’s what you should do. To add to this, many believe that radon is only an issue in north and western parts of the country (US) because most homes in those regions have basements. This is completely false. Radon can build up even inside a home without a basement, and it’s not confined to a single country or region. In fact, both Canada and the UK have similar radon measures as the US. Other countries can see elevated radon levels, as well. How Often Should You Test for Radon? Most experts recommend testing your home for Radon once a year or so. We, however, recommend testing your home at least twice a year. The best times to do so are during the warm and cold months because this is usually when all egress to your home are sealed and remain so – usually, you don’t want the cold to enter, or the A/C to escape in the heat. Due to weather, living conditions, and geography it’s entirely possible for radon levels inside a home to fluctuate. This means, that you could test your home in the fall or winter, and find different levels as you do in the summer. Testing multiple times is the best way to be sure your home is not affected. Furthermore, there are different types of tests, including short and long-term. Short-term tests will only tell you the current levels inside the home over a smaller, bite-sized period. Long-term gives a much clearer picture of the average radon levels in your home year-round. 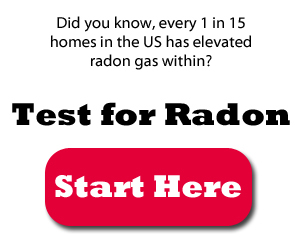 If you need more information on testing your home, there’s plenty here at Radon Resources. The best place to start is with a short-term test, and if you discover elevated levels – or close to it – then you should do a long-term test to find the average levels in your home. It is important that you test as soon as possible because it’s an extensive, drawn-out process. That doesn’t mean it’s difficult or time-consuming so don’t shy away. You simply leave samples vials untouched for a specified period of time and then mail them to a remote lab. However, it takes some time because the vials have to be left out to collect air samples. Then they have to be mailed to a lab, tested, and the results need to be mailed back or posted online. All of this takes some time to happen, so you won’t get your test results back overnight. That means, if you do have elevated radon levels in your home, you’ll be living with them for some time before you can remedy the issue. Again, that is exactly why we recommend testing your home as soon as possible. The dangers of radon are very real, despite many believing it is a hoax, and or a made up concept. Unfortunately, that is not the case. At any rate, wouldn’t you agree it’s better to be safe than sorry especially when your family is concerned? Radon testing is one of the most important factors of home inspection. Really informative article. Looking forward to reading such amazing articles in the future as well.